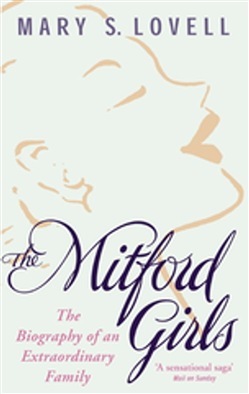 'A cracking read ' Lynn Barber, Observer The Mitford Girls tells the true story behind the gaiety and frivolity of the six Mitford daughters - and the facts are as sensational as any novel: Nancy, whose bright social existence masked an obsessional doomed love which soured her success; Pam, a countrywoman married to one of the best brains in Europe; Diana, an iconic beauty, who was already married when at 22 she fell in love with Oswald Moseley, the leader of the British fascists; Unity, who romantically in love with Hitler, became a member of his inner circle before shooting herself in the temple when WWII was declared; Jessica, the family rebel, who declared herself a communist in the schoolroom and the youngest sister, Debo, who became the Duchess of Devonshire. This is an extraordinary story of an extraordinary family, containing much new material, based on exclusive access to Mitford archives. Acquista The Mitford Girls in Epub: dopo aver letto l’ebook The Mitford Girls di Mary S. Lovell ti invitiamo a lasciarci una Recensione qui sotto: sarà utile agli utenti che non abbiano ancora letto questo libro e che vogliano avere delle opinioni altrui. L’opinione su di un libro è molto soggettiva e per questo leggere eventuali recensioni negative non ci dovrà frenare dall’acquisto, anzi dovrà spingerci ad acquistare il libro in fretta per poter dire la nostra ed eventualmente smentire quanto commentato da altri, contribuendo ad arricchire più possibile i commenti e dare sempre più spunti di confronto al pubblico online.